Hexa’s Resources is a globally integrated mining company, over the next 3 to 5 years we aim to become a market leader in the mining and trading of coloured gemstones. Generating exceptional returns for our stakeholders, by focussing our resources on proven gemstone belts and developing undervalued assets. We will promote transparency, trust and responsible mining practices, maintaining the balance between people, profit and the environment. Our differentiating “Mine to Market” model allows us to operate throughout the value chain, with our trading partners bringing their marketing and distribution channels to further enhance margins. 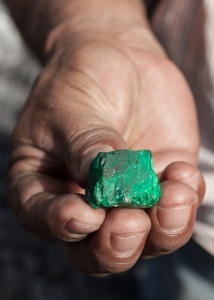 Our joint offering of both emerald mining and trading not only enhances profitability, but also stabilises cashflow. There are few international coloured stone competitors with an equivalent integrated business model. It is our belief that by establishing the Company as a participant in the Colombian & Brazilian emerald market and by exploring and investing in license acquisitions we will achieve significant upside for our stakeholders. Current mining operations are mostly artisanal, and so there is a great opportunity to apply technology and modern production processes to improve production, profitability, security and safety, as well as significant opportunity for scalable business growth. The Hexa team has a strong risk analysis approach and background. This is critical to ensure thatwe can effectively focus our resources, avoid the identifiable risks, where possible, and capitalise only on the strongest prospects according to the appropriate studies and the history of the area. The Colombian emerald fields are located on the eastern and western flanks of the Eastern Cordillera of Colombia and account for 50/70% of annual global supply. Although there are additional sources for emeralds globally, Colombian emeralds are characterised for their superior transparency.